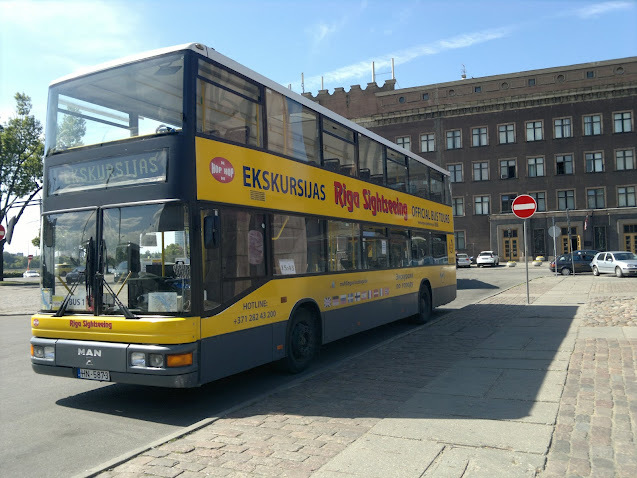 Bus Tours „Riga Sightseeing” with the yellow open top double-decker buses – cabriolets, is the best and cheapest way to explore the main sights and attractions of the capital city of Latvia. The tour duration is 90 minutes and it is provided by the multilingual audio guide in: English, Latvian, Russian, Norwegian, Finnish, Swedish, French, German, Italian and Spanish languages. Address: All year round Riga Sightseeing Tours starts at the Town Hall Square (Rātslaukums), so you can join bus tour from here!